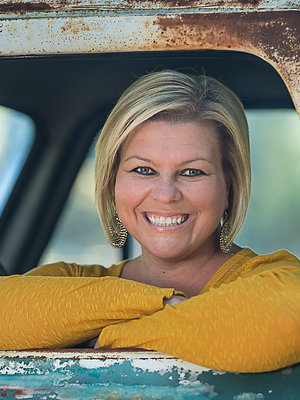 Mandy Young is a self-proclaimed southern, social butterfly who loves her family, friends, sweet tea, the color pink and most of all, the Lord. Her greatest joy is traveling the country sharing the story of her life or that of the challenges of Body Image. Whether she is speaking before thousands or to an intimate group of 25, her exuberance for Jesus never changes. Mandy's bubbly personality is contagious, shining like a bright star on a dark night. Her story, mixed with candor and humor inspires each of us to see how God can use our worst circumstances for His glory. She gives hope to a generation consumed with materialism, perfection and body image, making her a role model to others. Mandy is one of kind and I'm blessed to call her my friend. 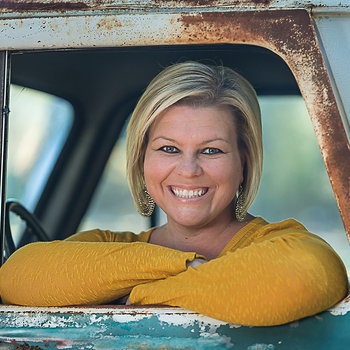 If you are looking for a speaker who is effective and different, look no further than Mandy Young. You won’t find any ego, clichés, or hidden agendas. What you will find is a beautiful person with a beautiful story that communicates the beautiful gospel of Jesus Christ in a powerful and lasting way. Mandy came to my church and shared her story with over 300 women at a recent Christmas gathering. The impact that she made on many lives that night was clear by the number of women who waited to talk to her one on one. Her enthusiasm was contagious and a true testimony to a life lived for the Lord. If you are looking for speaker that will challenge your audience and ignite a fire within their soul...Mandy is your gal! If you ever wondered what it would be like to be in the presence of an Angel then, wait no more. Mandy is as close as you’ll get without going to Heaven. Her incredible story is not of going from being the “normal” girl to being “the one legged” girl. And, it’s not a story of the poor little girls struggle to find out who she is. It’s a story about a young girl who has grown into a wonderful young lady by remaining faithful to God and believing that everything He does is for a reason. Her story put our church members on a roller coaster of emotions. When she made her presentation there was laughter and there were tears. But, the tears were not due to sadness. They were because of the joy that Mandy gave those in attendance by demonstrating her never ending determination to live life and be a Blessing to all those she comes into contact with. Regardless of age, race or gender, "Mandy's Journey" will inspire all who attend. Amazingly inspirational! How anyone can go through the obstacles that Mandy did and not only live, but LIVE...is a true testament. Encouraging, Uplifting, Breathtaking... A story everyone should hear and hold on to! What can I say, but: impressive, moving, inspiring, appreciated... Mandy is so poised and well-spoken, and she gives forth just the right mixture of reality and hope, that makes her such a role model for others. Mandy, not to at all be understated herself, is of course far more than her 'illness.' In some odd way, you could almost argue that she has (in a beyond our understanding sort of way) been 'selected' to be the bearer of her medical history. Who but Mandy, really, could have had this past; and this present and future too we all expect, that she personally has managed? Who better than Mandy; who could be the face of such overwhelming difficulty,yet with sweetness, positive attitude, and ever-tempered realism? She is a very, very special person, (as we all appreciate).